Trust is one of defining characteristics of Arsene Wenger. His players cherish the freedom it gives them. He is famous for not giving team talks at half-time. The reasons for this are two: his belief that it’s in the players’ hands during a match and the awareness that his power lies in the match selection beforehand. It’s all down to trust to the players’ ability to execute his pre-concocted plans. “I’m only a guide. 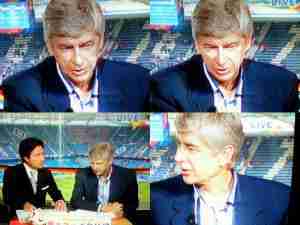 I allow others to express what they have in them.” Wenger once said in an interview. 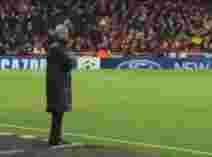 Wenger has jumped on the bandwagon with the hugely popular 4-2-3-1 formation ever since Jose Mourinho first came up with it at Inter Milan in 2010. It seems there is love between the two managers after all. Wenger has built several teams around that formation to various degrees of success and has rarely deviated from it since changing from his previously favoured 4-3-3. The advantages of sticking to one formation are numerous. The players get used to it which in turn gives stability and eliminates confusion. Of course, you have to fish for the right players in the transfer market. Having an economics degree helps. Wenger has always been frugal with money, even before Arsenal endeavoured to construct the Emirates which jumpstarted a period of loan repayment priority. This led to several problems. Wenger frustrated many by delaying transfers until the last moment and losing star players for refusing their salary demands. For bad or worse, Arsenal have grown twice-fold under Wenger. So he must not be that stingy after all. This is especially true during and around the transfer window. Many people have wondered about the possible hidden treasures behind that cheeky smile Wenger flashes when asked a transfer question. He’s at war with them. There is a line from the Departed movie where a character says about the FBI: "They are like mushrooms, keep them in the dark and feed them s**t.” Same can apply to Wenger’s relationship with the media. Over the years, a number of ex-players have expressed aspirations to return after unsuccessful post-Arsenal life. Only a few of them have been able to–Sol Campbell and Thierry Henry were among them. Let’s clear the pipes first. Wenger has been at Arsenal for over 20 years. Why wouldn’t he look for the same commitment from his players in the ever-changing modern days? The Youth Academy shapes youngsters to his football vision and ingrains the Arsenal home values into them so they more likely to stay loyal to the club. 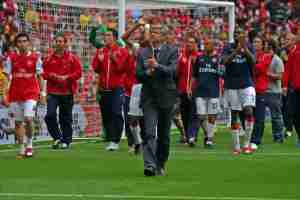 Wenger is renowned for cherishing and allowing youth prospects to develop. At one point Arsenal’s youth development processes held higher regard than Barcelona’s La Maisa and Ajax’s De Toekomst. 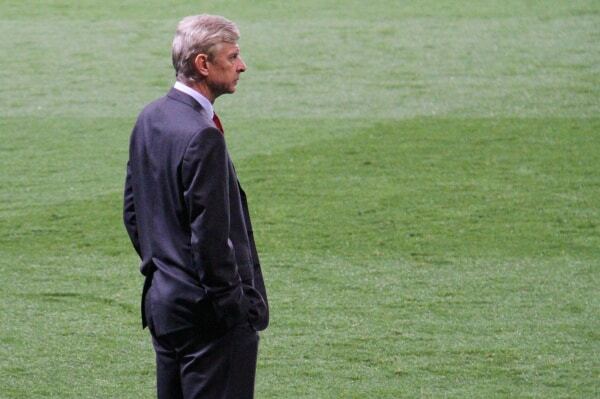 In Wenger, idealism takes precedence over pragmatism. It’s not that he lacks pragmatism completely. He’s known to attempt to inspire his players by reading passages from the Bible. He cut the practice when it proved ineffective. With Wenger, players not only get a manager but a father figure too. It’s a quality that has allowed him to stay in top football for that long. As you might expect a man with a fragile ego cannot hold a top position for long. 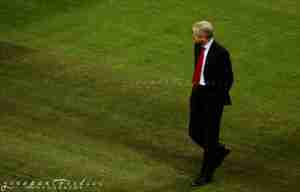 After two decades on the helm, it is no wonder then Wenger would fend off anyone who wants take over from him. His authority as a boss is on the line. And in his mind, it is vital influence to have if you are to be successful. A few Arsenal legends have expressed their appetites for the top coaching position, but only a few others have made it that close to Wenger. 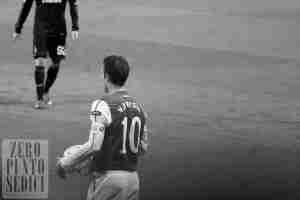 The freedom Wenger is allowing his players on the pitch should not be mistaken for meekness. Ask Patrick Vieira, Tony Adams, Thierry Henry and countless others. “I didn’t see it.” would become a trademark of Le Professor when asked by the media about his opinion on something a player of his own has done during a match. It pays more to bury the truth to protect the players from too much unnecessary public attention. Wenger holds the bragging rights for this practice . Plenty of other managers have followed his example. The age rule is a bit unfair, but Wenger is famous for employing it at Arsenal. Over 30: no contract. His diets and lifestyle guidelines claim to extend a player’s football life but when it comes to the edge of 30, Wenger very rarely breaks it. Only the exceptional players have slipped through his age-limit net. Even Dennis Bergkamp stood on the sidelines at 32, wondering he would ever play again for Arsenal. He did for three more years. This one is slightly counter-intuitive, but a must for Wenger-like management. Imagine this, you see a player underperforming. Solution: substitute him. Wrong. Leave him. This serves to boost the player's confidence and shows trust in his ability. Or it simply shows you are hapless. Choose.